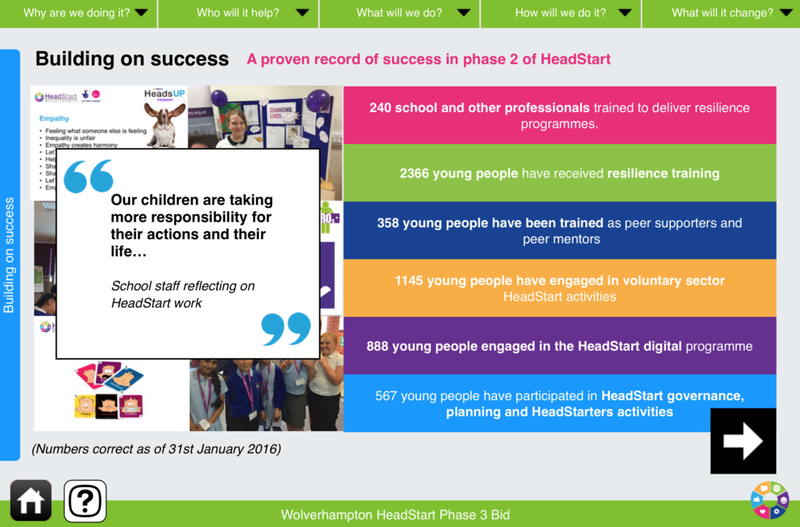 At the end of February, HeadStart Wolverhampton submitted a formal bid to The Big Lottery Fund for phase 3 funding for HeadStart in the city. We are currently awaiting a decision on our bid from The Big Lottery Fund. While there are no guarantees that our bid will be successful, we are, of course, hopeful that we will receive additional funding to allow us to support thousands more young people in Wolverhampton over the next five years. 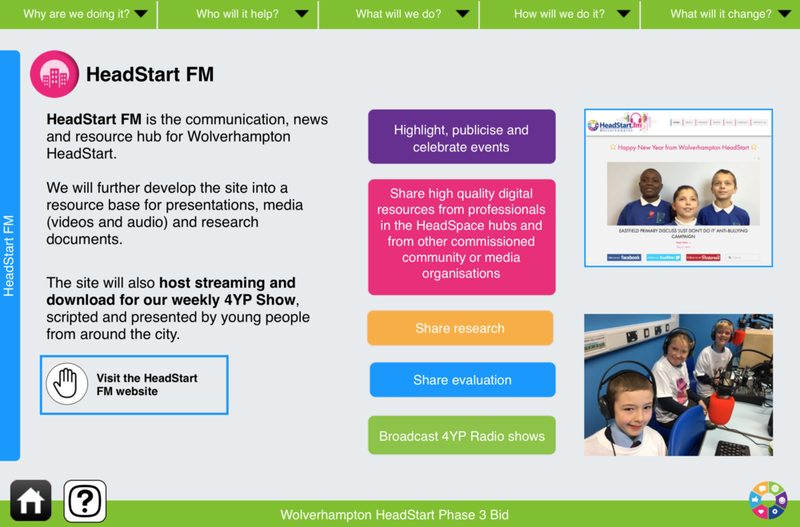 The Big Lottery Fund have now kindly given us permission to share a summary of our bid with a public audience, so in addition to the full 'paper' version of the bid which we submitted to them, we have created a digital mini-site which allows you to explore the key concepts and our plans for phase 3 of HeadStart. 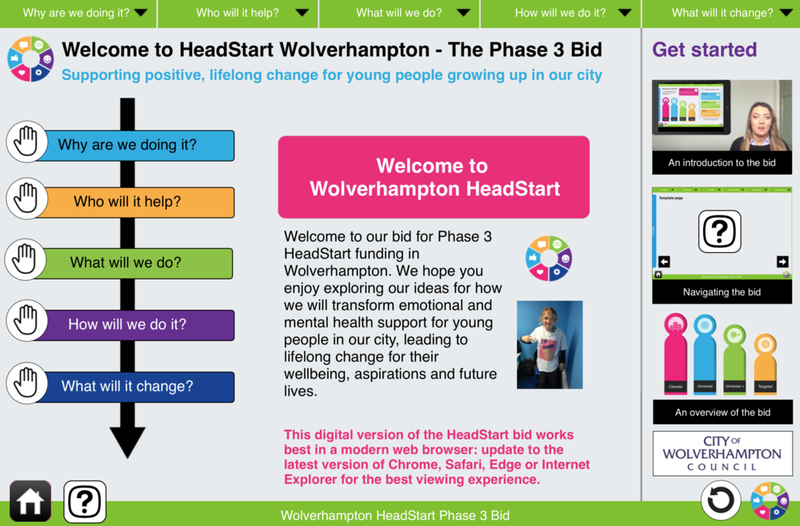 You can find the digital version of our bid at www.headstartbid.com. Here is a selection of screenshots from the digital version. The digital version of our bid works on modern versions of Chrome, Safari, Internet Explorer and Edge on Windows and OS X. It is also sized perfectly to be used on the iPad. We hope you enjoy exploring our ideas. If you have any feedback or comments, please use the comment form below, or contact us.